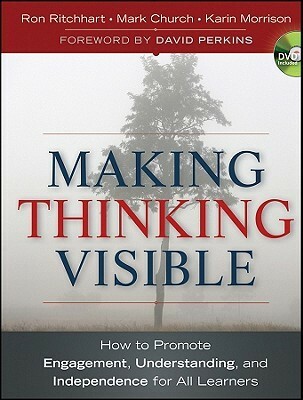 Making Thinking Visible is based on the work being done at Harvard’s Project Zero and is part of a larger study of Cultures of Thinking about which you can read more here. The book provides a background about why a thinking focus is important and provides an introduction into the Thinking Routines that are recommended as a way to bring the theory into practice in the classroom. I’ve found it a nice combination of going deeper into our professional practice as teachers, and practical suggestions that we can implement quickly and reflect upon as we go. I’m fortunate to be involved with a group of primary teachers at my school who are exploring the text and trying some of the routines as part of their Collaborative Inquiry: How might inquiry-based learning look in a primary French Immersion program? We’ll be each trying one of the routines from the first section of this book to get us started in discussion at our next PLC meeting, but first I thought I would attempt to briefly summarize the first part of the book. Here is one of the authors, Ron Ritchart, explaining why we need a culture of thinking in schools. What kind of thinking does this lesson/activity force students to do? These questions are causing me to look more closely at what happens in my classroom. I’ve always known that my job as an educator is to create an environment that fosters learning — sounds easy — but in reality, this is a really complex undertaking. I realize that I can’t ‘make’ someone learn something, rather, the learner needs to be a partner in that process and the definition of ‘learning’ needs to be considered carefully and not be confused with compliance or fleeting knowledge accessible only in certain contexts. I know that much of learning is unobservable (going on in the head of the learner) and my job is to help make it visible in order to help a learner keep moving forward. 1. The actions student in your class spend most of their time doing. What actions account for 75 percent of what students do in your class on a regular basis? 2. The actions most authentic to the discipline, that is, those things that real scientists, writers, artists, and so on actually do as they go about their work. 3. The actions you remember doing yourself from a time when you were actively engaged in developing some new understanding of something within the discipline or subject area. The authors do a really nice job of talking about what they know about thinking, what they have learned about thinking, and what they mean by thinking in the first section of the book. Although they acknowledge that there are lots of kinds of thinking, they are specifically talking about types of thinking that are particularly useful when we are trying to understand new concepts, ideas, and events — which is often the kind of thinking we are doing in schools. If you’ve ever questioned the way you’ve seen Bloom’s taxonomy used, as I have, you’ll enjoy the critique the authors provide there, but that’s another blog post altogether. The authors also describe the power involved when teachers make their own thinking explicit to students and model the high-quality conversations about thinking and ideas that should happen in our classrooms. Both the idea that students need to be focused on the kinds of thinking that actually occur in world of real mathematicians, scientists, writers, artists etc., and the awareness of the power of co-learning, remind me of the amazing contributions of Seymour Papert in his study of how children learn – it’s no wonder I love their approach in this book! Our first exploration involves choosing one of the routines in the area of Introducing and Exploring Ideas, trying it with our students and then sharing what we notice and wonder about the process as beginners. I’m choosing Chalk Talk as the routine that I’m bringing to the meeting. Should be some great sharing and learning! Previous Art Miles Project – Our Mural Arrives From Japan!